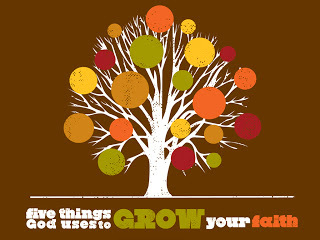 Cornerstone Blog: "Winter Bible Study" February 1-3: "Five Things God Uses to Grow Your Faith"
"Winter Bible Study" February 1-3: "Five Things God Uses to Grow Your Faith"
Cornerstone will hold our annual "Winter Bible Study" February 1-3, 2013 on the subject, "Five Things God Uses to Grow Your Faith." We will use a video study by Andy Stanley to guide our discussion of how our faith can become stronger and more vibrant. We will begin on Friday night, February 1 with a meal provided at 6:00 PM, followed by our study in the sanctuary at 7:00 PM. We will continue Saturday night at 6:00 PM (no meal) with Session 2. Sunday morning, February 3, our third session will be during the Morning Worship Service at 10:30 AM. Following a carry-in fellowship meal at 12 Noon, we will finish our study with Session 4 at 1:00 PM. Please bring a family-sized main dish to share for the meal, as well as a side dish or dessert. Each session will be in the Sanctuary, and we will watch a video teaching segment followed by discussion and application. A nursery will be provided, and childcare for children 5th grade and under. All other ages will meet in the Sanctuary (Sunday morning, Children's Church provided for children up through the 4th grade). 12 Noon – Carry-in Potluck Meal after Morning Worship (Please bring a family-sized main dish and a side dish or dessert to share). Please come and join us for this powerful and inspiring study! NOTE: All teaching sessions in the Sanctuary. Our Bible Study will conclude Sunday afternoon. There will be no Evening Worship on February 3.